Thanks to NetGalley and HarperCollins for the ARC of this book. 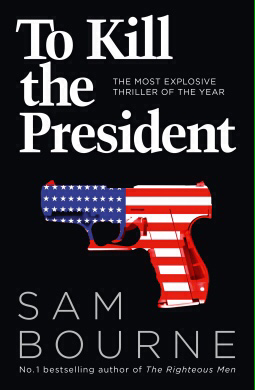 I really enjoyed this very timely thriller which follows various employees of the White House involved in plotting and attempting to prevent an assassination attempt on a president clearly based on Trump. The plot is a little far-fetched and too easily resolved; however I really enjoyed the portrayal of the worst case scenario Trump presidency. From almost starting a nuclear war with North Korea, to banning abortion, and deporting pretty much anyone Latino to Mexico; there was so much that rang a warning bell with the real-life Trump presidency. It was really interesting seeing the parallels between the plot and real life and where the author envisions the Trump presidency might go. You can’t help but sympathise with the Republican insider career politicians who begin to see an assassination attempt as their only option to undermine a president who is dangerously out of control and for whom every scandal seems to slip like water off a duck’s back. Although, in reality assassination would only worsen the problem as it would make him a martyr for his cause. In the end, in some epic wish-fulfilment, the president is felled by a much simpler Nixon-style scandal. I can only hope Trump is brought down by his own actions so easily and America comes to its senses before he can do any more lasting damage. I’d definitely be interested in reading this author again. Although I did find his lead character Maggie Costello a bit flat. In particular, her sexual desires and feelings seem to be clearly written from a male perspective. At least he tried to have a female lead, which is rare in this kind of political thriller. It was really fun to read a thriller so rooted in the current political context and so pertinent to our times. The cover is great too!